Need air conditioning repairs or heating repair in New Jersey? Call All Done HVAC today for 24-hour service and a FREE price estimate! 201-540-0977. At All Done HVAC, we’re a local air conditioning, furnace, and boiler company located right here in New Jersey. We’re available 24/7 for emergency repairs, along with other great HVAC services for local homeowners and businesses. From emergency heating repairs at 2 AM, to HVAC installation service for great new ACs, furnaces, boilers, and more, we’re here for all your heating and cooling needs in New Jersey. We pride ourselves on our excellent service and devotion to quality workmanship. For all our heating Furnace, and Boiler Repair services in New Jersey. When you need heating and air conditioning service fast, call us at All Done HVAC for New Jersey’s best service, at 201-540-0977. Our experienced air conditioning service contractors can work with almost any type and model of air conditioner, from typical split systems to ductless mini-split AC systems. For air conditioning repairs, AC installation, and more, call us today at All Done HVAC. When you need heating services during the cold New Jersey winters, call us at All Done HVAC for fast, reliable 24-hour heating repairs, heating installation, and heating replacement, for both residential and commercial heating systems. 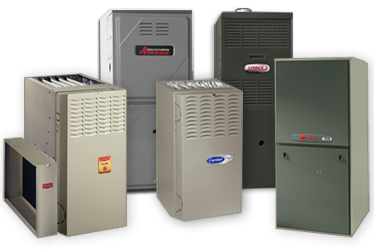 We offer heating service for boilers, furnaces, steam boilers, and more. Call today at 201-540-0977. Need furnace repairs? Call us today at All Done HVAC for fast, reliable 24-hour emergency heating service in New Jersey. Having problems with your boiler? At All Done HVAC, we service New Jersey with professional boiler repairs, steam boiler repair service, new boiler installation, and more. For fast, reliable heat pump repair in New Jersey, call us today. For comprehensive HVAC services in New Jersey, New Jersey, call us today at All Done HVAC. We offer 24-hour, same-day service for air conditioning services, heating services, and more, 7 days a week. With free diagnosis, great pricing, and more, we’re New Jersey’s top choice for all things HVAC. For fast, reliable heating & cooling services in New Jersey, call us today at All Done HVAC: 201-540-0977.